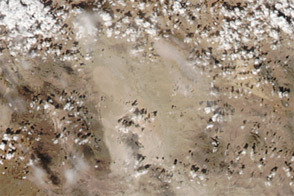 On April 10, 2019, strong winds provoked dust storms in Texas, New Mexico, and northern Mexico. 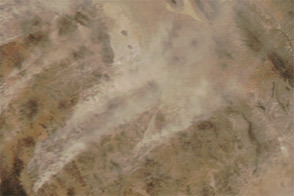 The blowing dust reduced visibility, caused traffic accidents, and prompted local officials to issue public health alerts for potential respiratory issues. 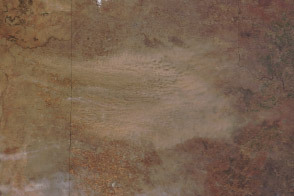 The natural-color image above was acquired on April 10, 2019, by the Moderate Resolution Imaging Spectroradiometer (MODIS) on NASA’s Aqua satellite. 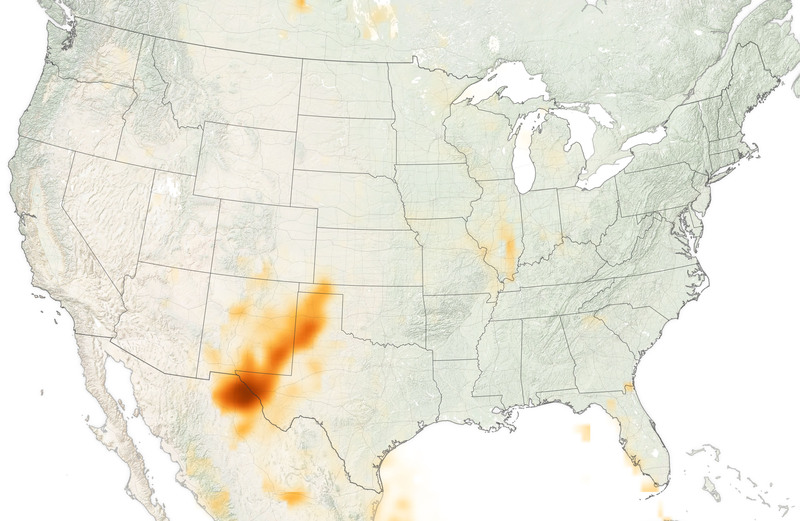 The map below shows the concentration of aerosols, including dust, over the region during the time of the storm. 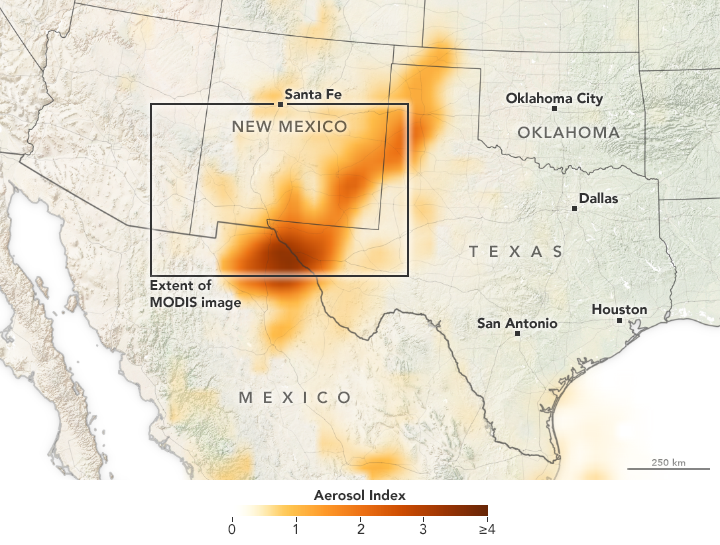 The aerosol measurements were recorded by the Ozone Mapping and Profiler Suite (OMPS) on the Suomi NPP satellite. 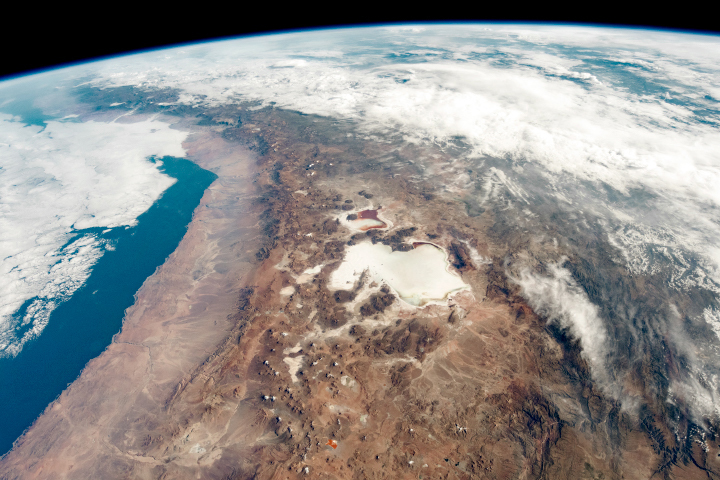 The dust storm was caused by a low-pressure weather system that generated winds exceeding 70 miles (110 kilometers) per hour. Winds were strongest in southeastern New Mexico, where they were reported at 102 miles (164 kilometers) per hour by the National Weather Service. 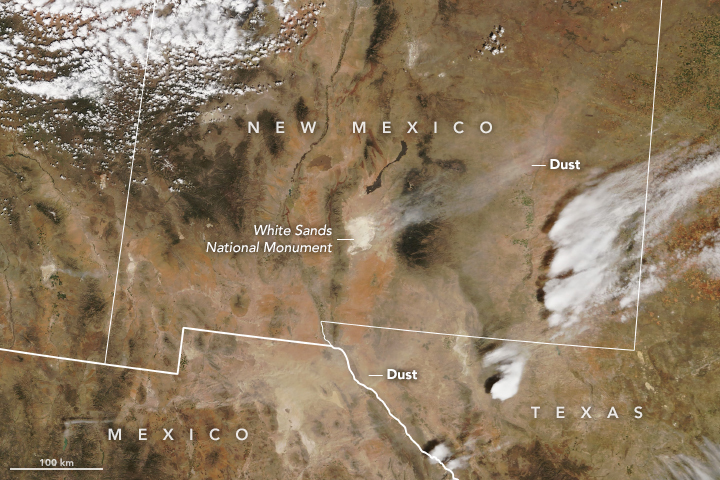 Winds lofted dust from several sources around the region, including the gypsum dune field at New Mexico’s White Sands National Monument; the Lordsburg Playa near the I-10 corridor in southwest New Mexico; and from the Chihuahuan desert in Mexico. 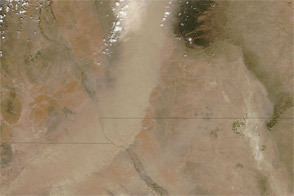 Wind storms carried some dust as far the upper Midwest, tinting some snow tan in Minnesota. 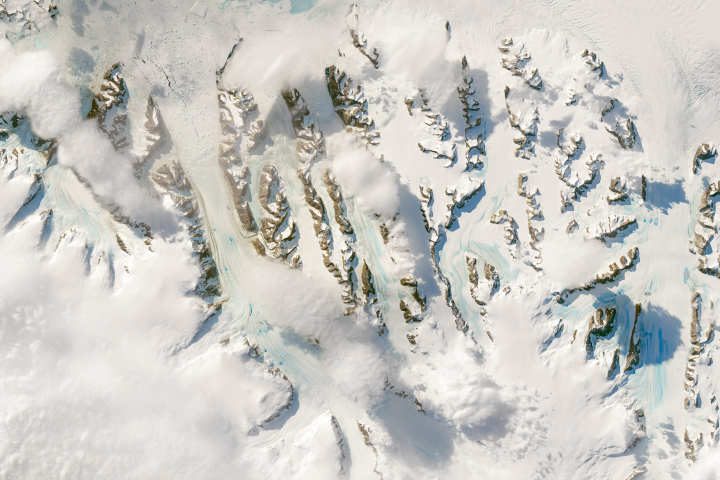 NASA Earth Observatory images by Joshua Stevens, using MODIS data from NASA EOSDIS/LANCE and GIBS/Worldview, and NOAA-20 OMPS data courtesy of Colin Seftor (SSAI). Story by Kasha Patel. Cooperative Institute for Meteorological Satellite Studies (2019, April 11) Surface Analysis. Accessed April 11, 2019. KOAT (2019, April 10) Continuous wind kicking up dust causes havoc for people around Albuquerque. Accessed April 11, 2019. Las Cruces Sun News (2019, April 10) 102 mph wind gust reported at San Augustin Pass. Accessed April 11, 2019. National Weather Service Midland/Odessa (2019, April 11) Windy Wednesday. Accessed April 11, 2019. NewsChannel10 (2019, April 10) High wind event causing low visibility, some driving hazards. Accessed April 11, 2019. 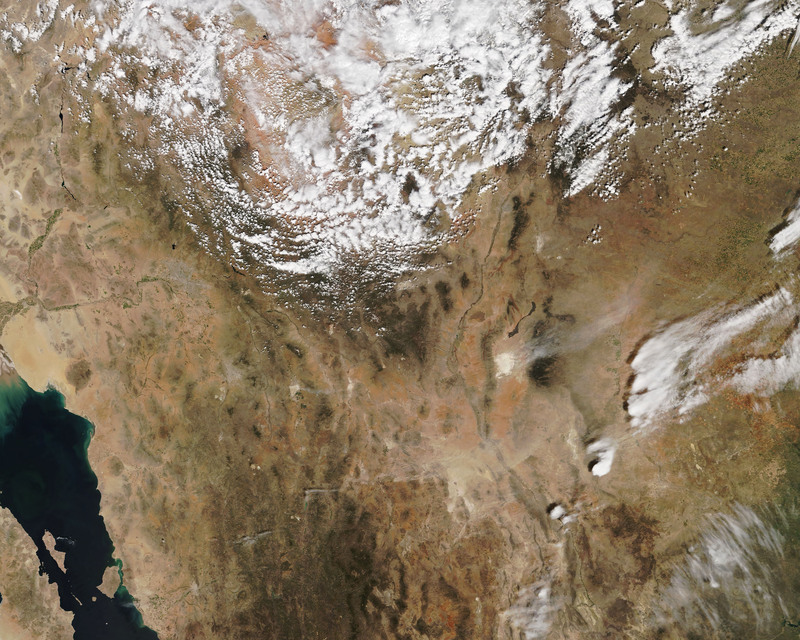 Blowing Dust Affects Mexico and the U.S.